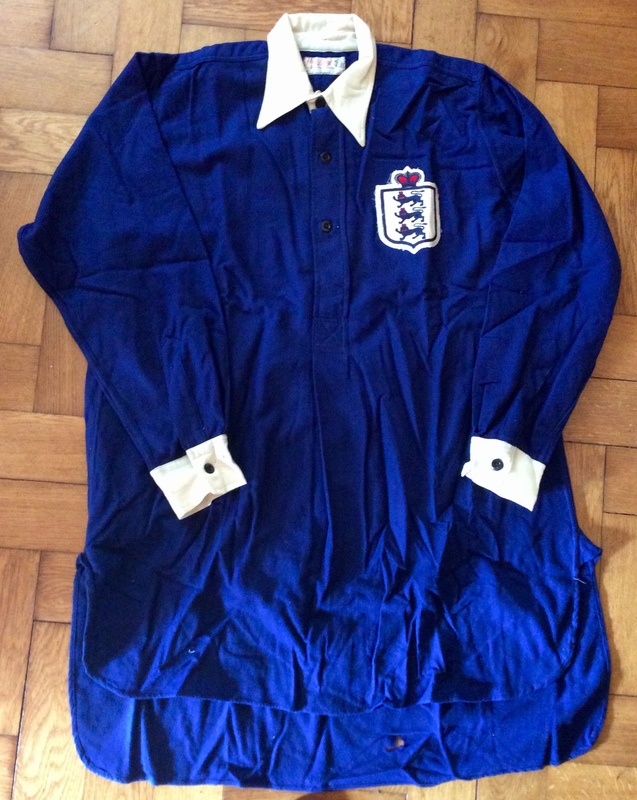 This shirt was part of England's first ever change kit, worn against Germany at White Hart Lane, Tottenham. The tradition was for the home team to change colours when entertaining a touring team with the same colour shirts, so whenever England visited Austria and Germany earlier in the century, it was their hosts who switched from their usual white shirts. St. Blaize made the shirt and it was accompanied by white shorts and the same black socks, with two white hoops across the tops and a thick white calf band, worn with the first-choice white shirts. The first two photos from the left, above, are of the shirt worn by a 20-year-old Sir Stanley Matthews, on only his third international appearance. 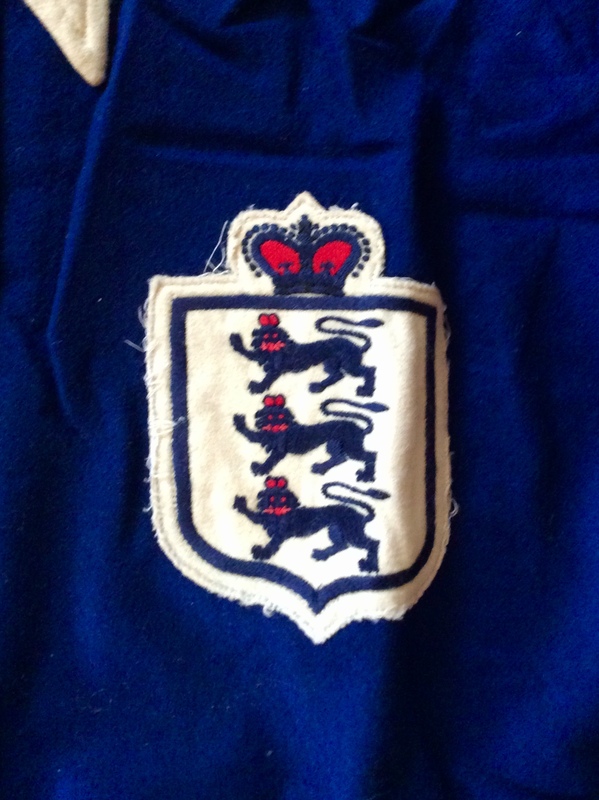 It is reproduced here by kind permission from the England Match Shirts part of the Neville Evans National Football Shirt Collection (curator: Simon Shakeshaft). The other shirt was worn by George Male and includes one of the multi-coloured caps awarded to each player.